One of our property managers called me asking for help, they had a new tenant moving into a property, the old tenant had arrange a company to clean their carpets (Professionally?). As you can see by the before and after pictures the company didnt do a very good job. This is what can happen if you dont use a PROFESSIONAL CARPET CLEANING COMPANYS, Now the tenant has to pay for me to come in and reclean. 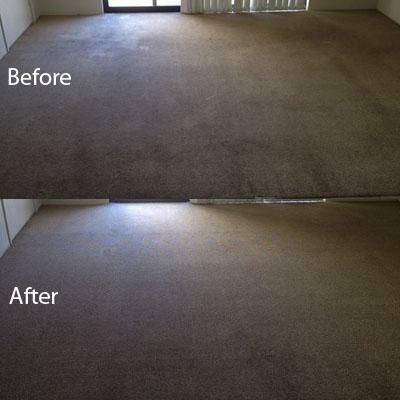 With our Powerful Truck Mounted Carpet Cleaner, that heats its own water to 80+ degs we get better results, most of the staining was from cooking oils walked all over the carpets, so you need really hot water and loads of vacuum power to get these sorts of results.